CD and ME menus, Cutting Edge Catering, Catering to your every Whim! Serving Joilet and the entire Chicagoland area! Imagine how special your wedding day will be in an environment such as this. 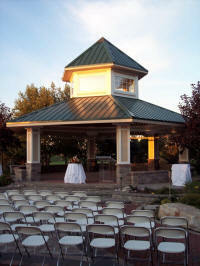 Imagine a wedding day as flawless as its setting, with the same attention to detail. CD & ME is ready to work with you to plan and execute an unforgettable gathering that reflects your own good taste. 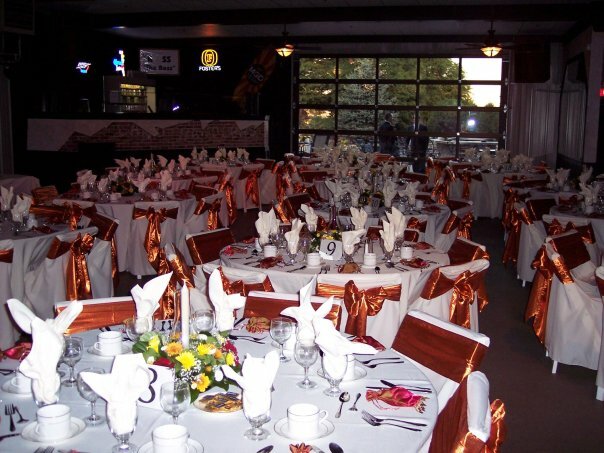 We can accommodate up to 400 guests. 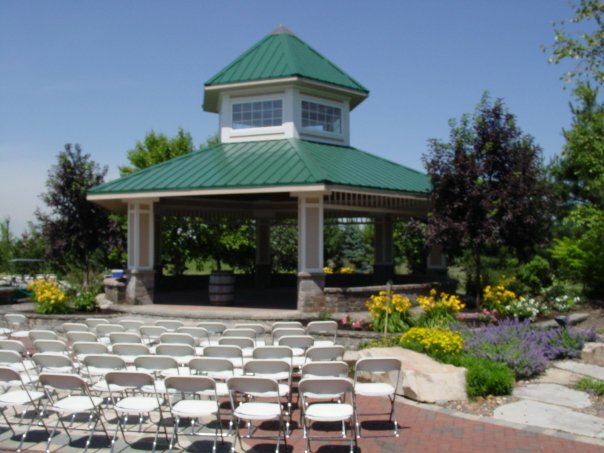 Enjoy the beautiful outdoor decor, which includes landscaped patios, courtyards, pergolas, 32-foot gazebo, water and fire features, trees, shrubs and thousands of various perennials. 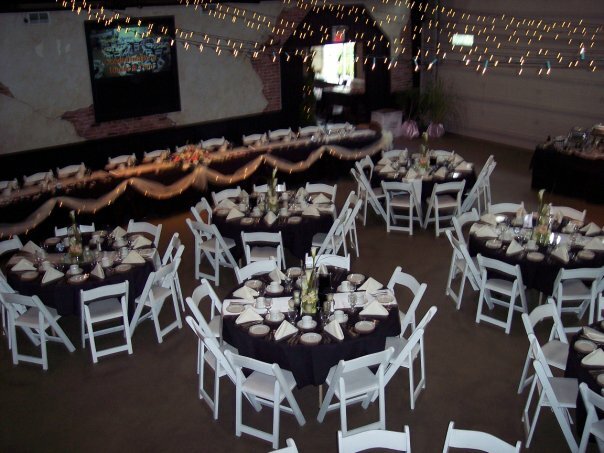 Our experienced staff can assist you in selecting whatever your event requires: caterers, room arrangements, guest seating, entertainment, floral services, photographers, and more. * What is the difference between your Loft Facility and your Mica Facility? The South Facility is an open air building with three large doors that raise up and is available to rent all year. 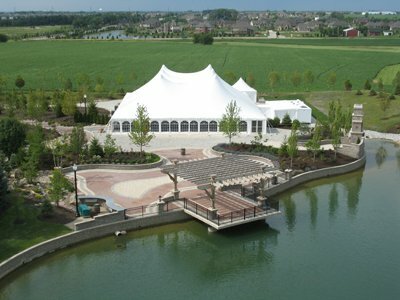 The North Facility is an upscale air conditioned tent and is available to rent April to October. Both our South and North Facilities feature outdoor areas with beautifully landscaped courtyards, gardens, water and fire features. * How many people can the facility seat? The Loft Facility building can seat up to 180 guests on the main floor. The Mica Facility tent can seat up to 400 guests. * When can I get into the room to decorate? CD & ME allows the party coordinator one (1) hour to decorate or set up for the day’s event. * Can I bring in a band or our own D.J.? Within our rental price, a D.J. is included. However, if our guests would like to bring in a band or a D.J., that would be fine, but the rental price remains the same. However, they must bring in their own sound equipment. If you bring in a band to perform they must perform indoors and a DJ will still be provided by CD & ME to handle introductions and play music while the band is not performing. * What is the size of your dance floor? 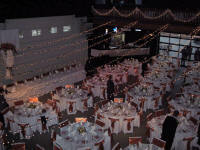 Our dance floor size is dependant on the size of your event/guests attending. * What kind of music does the D.J. play? Our D.J.’s play whatever you want to have played throughout the time of your event. * Can I bring in my own alcohol? No. Our liquor license issued by Will County restricts us on bringing in alcohol not purchased through our own vendors. * Is your facility Handicapped Accessible? Yes, with the exception of the upstairs loft. The washrooms are also handicapped accessible.